What’s your Twitter marketing strategy? Is it working? There are over 350,000 tweets posted every minute of every day. How do you ensure your messages stand out? Google, Nike, Starbucks, and more big brands fought for attention and won. Was it luck or brilliant Twitter marketing? We took a close look to learn how these big names got it right. We fired up Talkwalker’s social listening tool and, using Interbrand for reference, chose 18 top brands from nine industries. To mix it up a bit, we added a couple of CEOs you may have heard of. We mined a years’ worth of data from each brand, measuring hashtag usage, most successful tweets, if and how brand ambassadors and influencers were employed, and engagement with customers. Below are some examples of what worked for these global giants on Twitter. 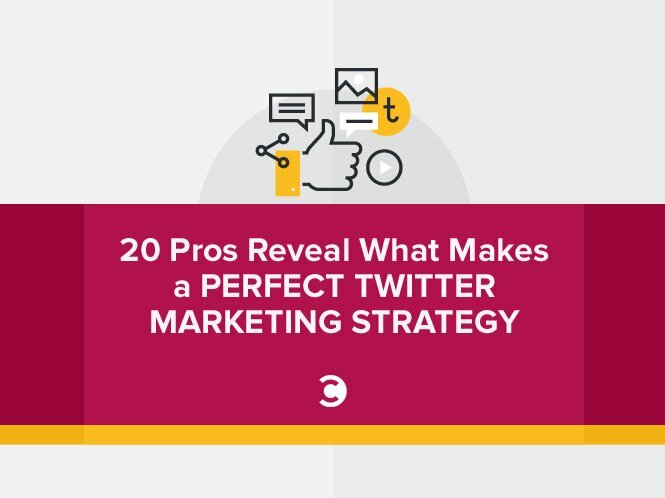 You can read the full report of all 20 brands and discover how they rocked Twitter and find inspiration for your own Twitter marketing strategy. If you believe what you say, and if you can back it up, tweet it—engagement stats relish it! Richard Branson loves to express his opinion. He’s not doing it to be adored—often, the comments he receives are negative. He says what he believes, and he shares his passions, whether it’s #VoteRemain for the UK to stay in Europe or #readbyrichard books about improving the justice system. If your brand is attacked, you must address the negativity and protect your brand. Donald Trump’s hit on The New York Times brought a mature and measured response. @realDonaldTrump @nytimes fact: surge in new subscriptions, print & digital, with trends, stops & starts, 4 X better than normal. Siemens suffers negative comments on Twitter with regard to environmental issues. Rather than responding directly, it regularly posts tweets with positive hashtags like #CleanEnergy and #Ingenuity. Read more about Siemens, The New York Times, Richard Branson, and other global brands. Brand ambassadors and influencers aren’t always planned, as the following tweet about Starbucks shows. An A-list celebrity suffered a case of mistaken identity while ordering a drink. She tweeted, and it quickly went viral—19.9 thousand retweets and over 47 thousand likes. Starbucks responded with an apology and asked if her drink was good, earning 957 likes in the process. Read more about the power of brand ambassadors and influencer marketing. Google loves a trend and skillfully employs newsjacking, almost daily. It works for the brand, as it keeps its Twitter account interesting without heavily selling its products. The result? Google received the most mentions and second most retweets of all the brands we studied. It’s a cool feed for catching up on what’s going on globally. The following tweet jumped on two trending hashtags simultaneously. Nike released 89 pairs of self-lacing shoes inspired by the movie, Back to the Future. The shoes were put up for auction, and proceeds went to the Michael J Fox organization, a foundation sponsored by Nike that’s trying to find treatment for Parkinson’s disease. Nike not only jumped on the Back to the Future movie and its almost cult-like following, but it also demonstrated its social conscience. Want to newsjack like Google and Nike? Use talkwalkerNow to find trending stories. Some brands wait for a crisis before racing to Twitter and tackling it, or only respond if there’s a customer service problem. Twitter is so much more. It should never be considered purely a news feed and selling platform. Used well, it will bring your business and audience closer, building a real relationship. It can increase traffic to your website, which in turn can improve your search engine page ranking. You can engage with current customers while reaching out to new ones. Human connection matters. Replying to people who mention your brand with personalized tweets, asking questions, and injecting humor go a long way. Your followers will appreciate the effort, and you’ll increase engagement and improve brand awareness. When Elon Musk was stuck in traffic, he tweeted about building a new product. He broke the unofficial rules of Twitter good-practice and tweeted without an image and without using hashtags, yet his tweet received 55.3 thousand interactions. Siemens is constantly bombarded with negative comments, as previously mentioned. To counteract, it tweets positive hashtags and promotes its social conscience. It also has a powerful brand ambassador in its Chief HR Officer, who regularly tweets about Siemens’ activities using hashtags that include #gender, #equality, #diversity, #ability, #ingenuityforlife, and #greenbuilding. Your Twitter marketing strategy can make or break your brand. What’s the ROI of chatting with your Twitter followers? It’s a whole lot more than financial return. It’s about being human, and no matter the size of your company, it’s what your followers appreciate. To learn more about how these brands and more are rocking it on Twitter, read the full report: Top 20 Brands On Twitter – Playing Their Cards Right In 2016. Editor’s note: A version of this post originally appeared on Talkwalker. Meg is a copywriter in the marketing and communications team at Talkwalker, a social media analytics and monitoring platform.